First up, can we just sit back and enjoying the AMAZING packaging?! Purple + holographic, I mean that alone should be enough for you to want to run out and get them all! Their lipstick selection is impressive, ranging from black (yes, black!) to pastel blue and green. 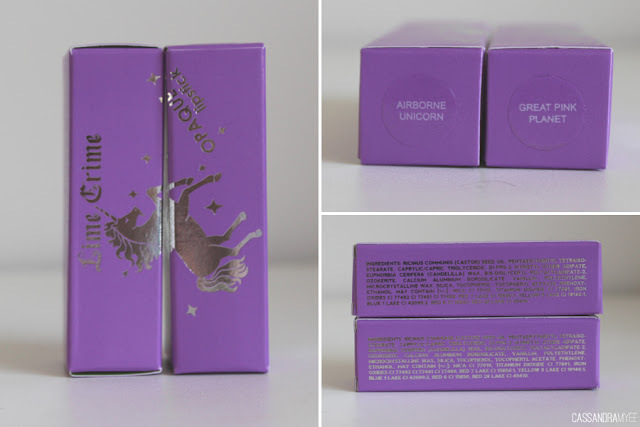 The brand is definitely unique and out there, they are vegan friendly and have no animal testing. I quite enjoy a lilac lip and love my Revlon Lip Butter in Gumdrop, so thought I would try for a darker purple shade. It looks pretty frightening in the tube but is a lot lighter on the lips. 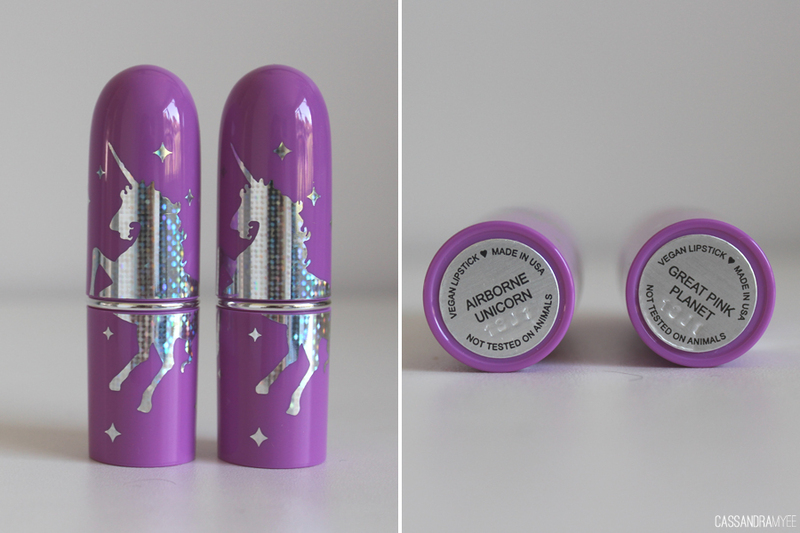 These lipsticks have incredible pigmentation, the swatches are 2 swipes and not pushing down hard at all. 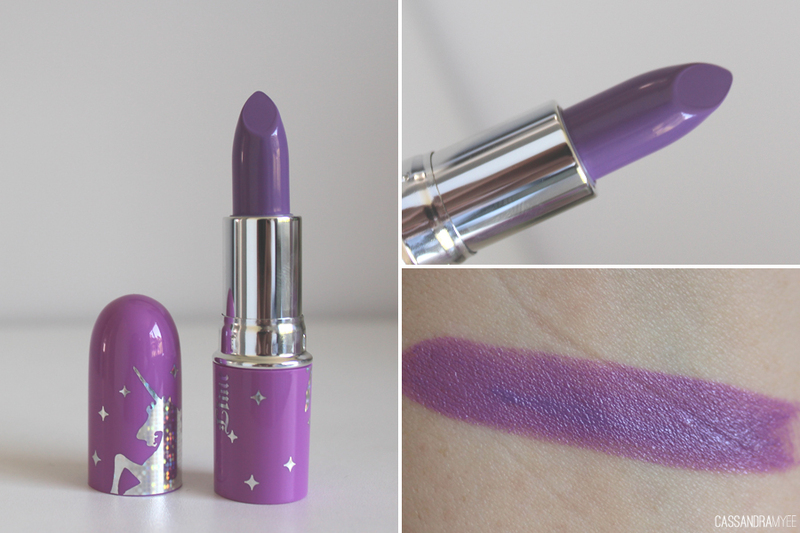 Airborne Unicorn is a true purple shade and there is no way around it, surprisingly it does look great on the lips and will be great for nights out or in the colder months. 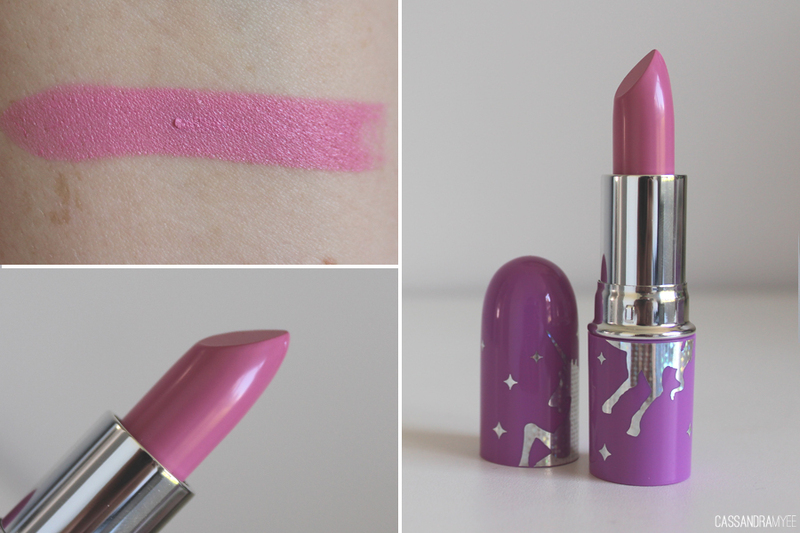 Again the pigmentation is amazing, this shade is a much more wearable pastel pink. The lasting power of these lipsticks I find to be pretty good, generally around 3-4 hours before they need a bit of a touch up. 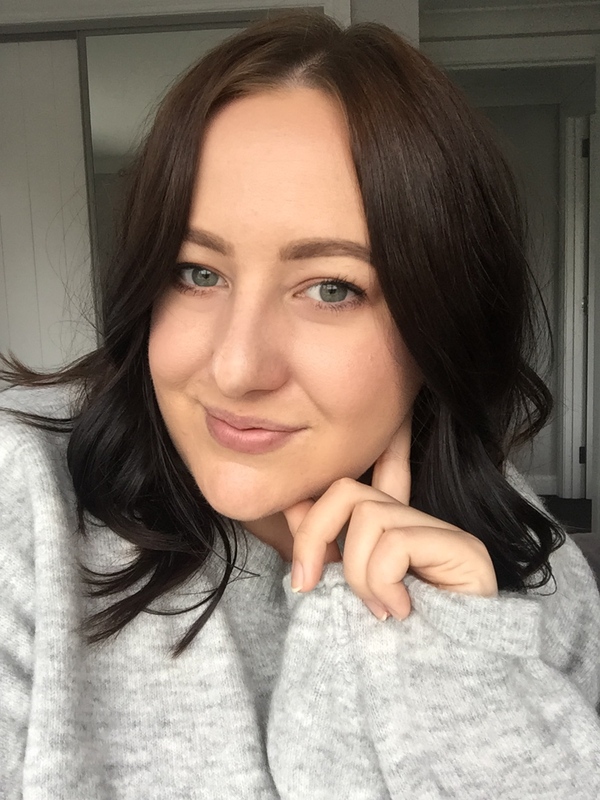 They go on very creamy but do dry up slightly, you can obviously put a gloss over top to amp up the impact but I think as they are so opaque and bold there is not much need to. 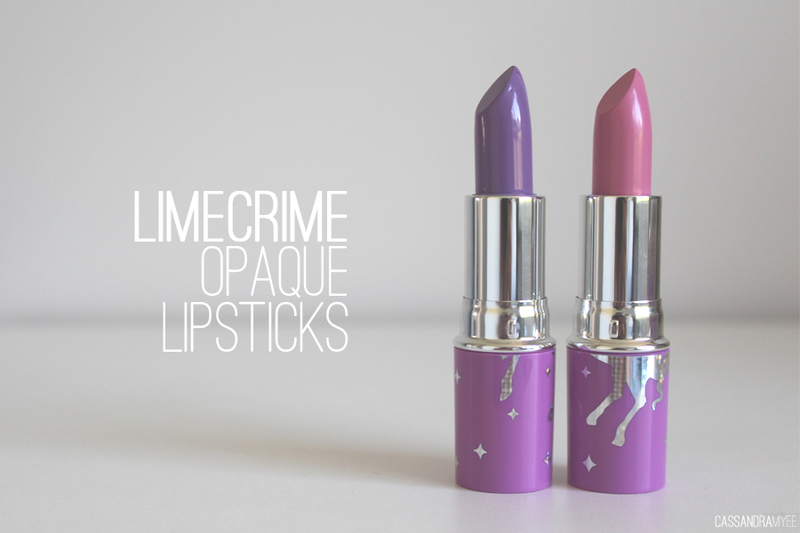 If you live in NZ the best place to buy Lime Crime is from either Blush Baby or Pagan Marie as they both have free shipping in NZ, are the same prices at $29 for one lipstick and they also have a great selection of the opaque lipsticks between both online stores, plus they are NZ, so it is nice to support them. If you were to buy them from Nasty Gal, the shipping is USD $15, so each lipstick works out at around NZD $40. So keep an eye out on the website for any discounts/deals or free worldwide shipping and grab yourself one of these lipsticks as they are incredible!